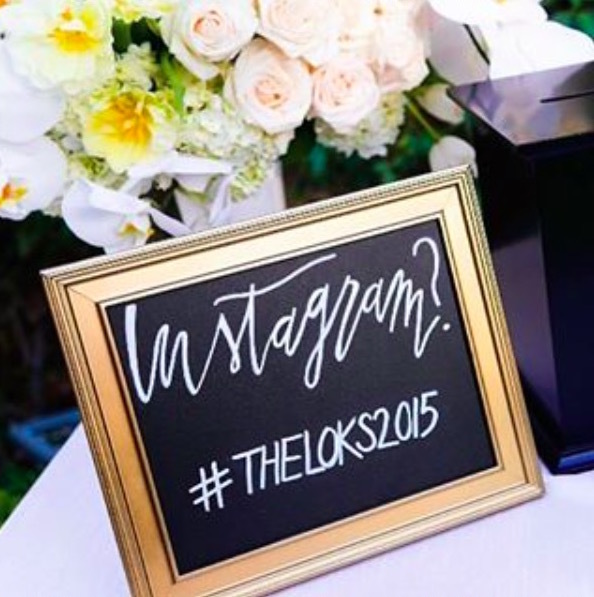 Need a little wedding hashtag help? We thought so 🙂 and could not believe our luck when the featured photo showed up on our Instagram feed today. We immediately knew we had to share Wedding Paper Divas Modern Couple’s Guide to Wedding Hashtags. Finally, a definitive guide to the best ways of incorporating hashtags into your wedding from start to finish. And we even found some great Day-of decorations. You’ll definitely want to remind guests to use your hashtag the day-of, and what cuter way to do it than creating or purchasing wedding instagram hashtag signs? You can DIY your own or even create adorable custom prints to put on display on your special day.